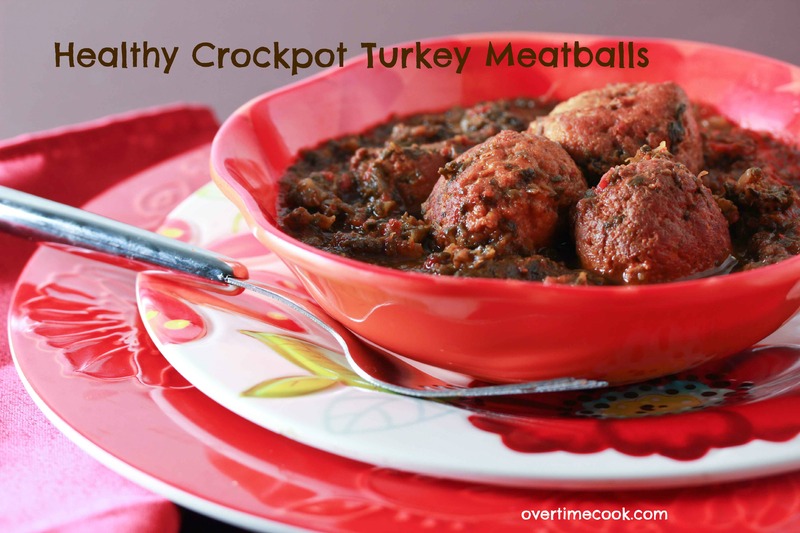 Healthy Crockpot Turkey Meatballs are a fantastic make-ahead meal that’s good for you! Y’know what the worst part about commuting is? It’s getting home from work at 7:30 pm on a cold, dark winter night. I step off the bus into the cold air, and all I want to do is curl up in bed in my favorite (and super cozy, albeit hole-y) gap sweatshirt, sipping on a hot drink of some sort. But then I remember that my night starts when I get home at 7:30, so instead I eat some supper and get to work. And obviously, by work, I mean baking, writing and photographing. One thing, however, is for sure. And that is that there’s no way on earth I’m gonna start cooking when I get home. Not on a freezing cold night. That’s where crock pots come into play. I prepare my meal the night before, plug it in before I leave for work in the morning, and come home to fresh hot comfort food. It’s the way the world was meant to be. It’s why I’m glad I live in the era of crock pots. Let’s talk now about this specific recipe. I put it together one night, and stuck it in the crockpot the next morning. I was looking forward to a hot dinner when I got home at 7:30 that night. Except I didn’t get home at 7:30 that night. First, the bus didn’t show up at 6 as planned. Then when it finally showed up at 6:30, there was one bus instead of two, which meant there were people packed like sardines in the aisle. Luckily I got a seat because the ride never ended. Or so it seemed. First the Lincoln Tunnel (a couple of blocks from my office) was backed up hours due to an accident. So the bus driver headed downtown to the holland tunnel, only to find out it was closed due to Sandy. So we headed back to…the Lincoln tunnel. Yep. At 8 pm, two hours after I left work, my bus got back to my office. We finally got through the tunnel at about 8:30, and I got home just before 9:30. Fourteen hours after I left in the morning. If there was ever a time that I needed a good comforting meal, hot and delicious just as I walked in the door. It was that night. These meatballs were perfect. All you need is some brown rice or spaghetti and your perfect meal is complete. Turns out? Traffic is the worst part of commuting. Heat oil or spray oil in a large frying pan. Form the turkey into balls (it will be hard to work with, so don't worry if they aren't perfect balls). Fry in hot frying pan on all sides until they are browned. The middles will still be raw, but they will cook in the sauce, so that's fine. Don't overcrowd the pan, rather work in batches. Remove the meatballs from the pan and place in the pot of your crockpot. Add a bit more oil to the pan, and add the diced onions. Next, add the chopped spinach and sauté for a few minutes. Pour the vegetable mixture over the meatballs in the crock pot. Pour the crushed tomatoes over into the crockpot. Add the spices and water. Stir the entire mixture gently, being careful not to break up the meatballs. Cook the meatballs in the crock pot on low for at least six hours. Serve hot over rice or spaghetti. *Edited to reduce salt amount. Note: browning the meatballs might seem like an extra step, but it gives the meatballs the most incredible texture, so don’t be tempted to skip it! Thanks for pointing that out, Shuly! I typed it but something went wrong when I saved it, apparently! I added it to the recipe! This looks brilliant and easy, I’m now very annoyed I managed to crack the pot of my slow cooker. Time for a replacement I think. I fascinated by the pure ground turkey meatballs, I always thought you needed breadcrumbs, an egg and a splash of milk to bind them together, so I’m thrilled to see there is an easier way, thank you! I was serving them to someone with special dietary needs, so I couldn’t use breadcrumbs etc. that’s why I browned them, and the texture was fabulous! This is really yummy. I really enjoyed it. It also works well as leftovers unlike most crock pot meals. No spinach on the list. How much? See above. Someone else pointed that out and I added it. I just have to say that I absolutely love your blog. As a matter of fact, I think I check it three times a day just to see if there is anything new. I get so excited when there is a new recipe (especially the healthy ones; forever dieting). So, please please keep them coming! Do you think this would be ok as a Shabbos lunch dish? Or will the meatballs fall apart? Sorry about traffic. The food looks delish despite the crummy day. Glad to see im not the only commuter that gets home at 7.30! This is an excellent idea, looks amazing and will be trying (as soon as i get home early enought to food shop!) thanks! 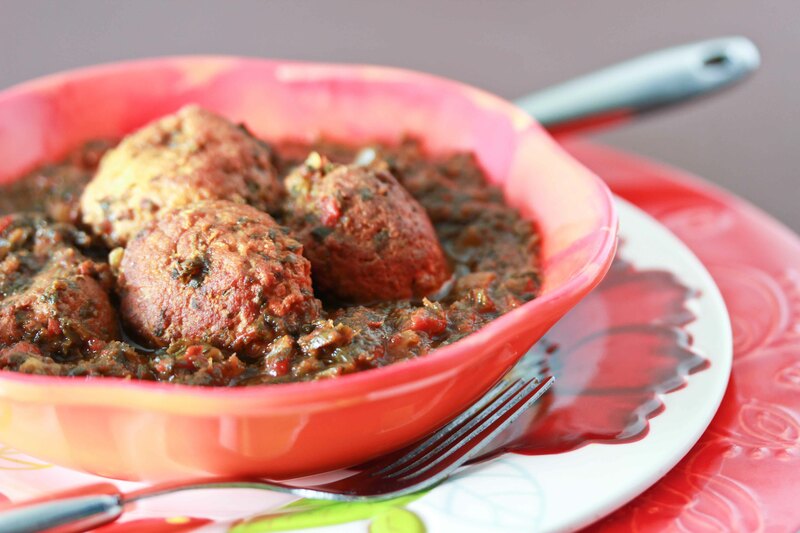 I must admit that I have not tried turkey meatballs so this sounds like a really fab idea! I love a great crock pot dish! Thanks! Monday week, it’s mini-Turkey meatballs. But one thing that always gets to me is the need to fry/brown EVERYTHING before slow-cooking it. I thought the crock was supposed to make life easier. Sigh. But if you say it’s a must, I’ll give it a go. Totally bookmarked this to make this week! I’ve been so exhausted when I get home from work, that I can barely think about making something for dinner! I love the idea of setting this in the crock pot and coming home to a meal! I’ve been using it a lot lately, and this is a great recipe to change it up from some of the regulars! Thanks! I had it cooking in the crockpot for about 12 hours and it was delicious and moist. I don’t know exactly how long it could cook for without drying out, but I’d add some extra liquid. B) have you ever tried making this recipe with beef instead of turkey? I don’t love turkey, nor do I like how they look once cooked (pinkish-reddish, reminiscent of raw beef), so I’d want to go with beef. C) I love the crockpot idea because I also work full-time and these kinds of beef recipes usually don’t work out for me because they can’t be prepared in 1.5 hrs or less! I had high high hopes for this recipe but let me warn you…..it is VERY SALTY…..and I only added 1 of the 2 tablespoons it called for. I ended up throwing it all away which was really disappointing since I’d planned on taking it to work for my lunches this week. I think it would have tasted pretty good otherwise. I’ve adjusted the recipe to reflect this, as a couple of people have commented on that. Sorry for the trouble – hope you’ll give it another try! These really look good, i hope to try them. as a working mom i love crockpot recipes. do you have anyother ones? I used ground chicken instead of the turkey, just because of the price of ground turkey where I live.. I added just a pinch of salt, no more than that, and it was great..
Everything else I left as is.. 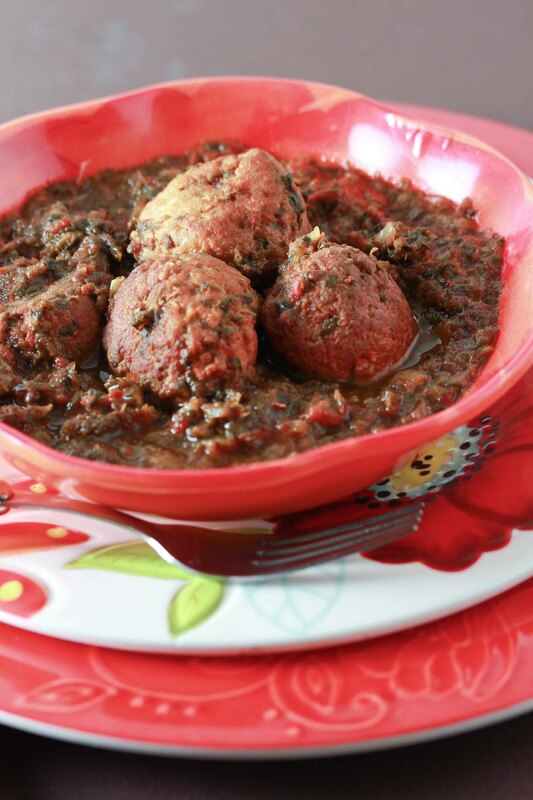 I made this recipe in the crockpot and loved it! do you think I could adjust it for a reg pot? if so, what changes would you make and how long do you think it would take? my turkey isnt defrosted yet and I want this for dinner! I’m thinking about making these for a Crockpot Freezer Workshop I’m hosting. We get together to prep, then freeze meals that we will later cook in a crockpot for our families. Any tips on freezing these? This looks fantastic! I was just wandering if I can substitute the Turkey Meat for Diced Chicken instead? I love anything with Chicken, Beef or Lamb Meat. Ground chicken would be a good substitute. My family and I absolutely love this dish. My daughter is allergic to several of the main allergens . We struggle to find new recipes that are easy, healthy and delicious. Thank you very much for taking the time to share. I made this today and the sauce is very liquidy… like a soup.